My Book – Who Let Me Adult? The Balance Fallacy – Trying to have it all. Pay off my mortgage quicker? Fighting for an unwanted Promotion? Are you “fighting” for an unwanted Promotion? 4th January 2017 14th April 2017 Dave ColleyAspiration, PurposeLeave a Comment on Are you “fighting” for an unwanted Promotion? Up until this point it was simple. Work hard, get promoted and earn more. Simple. Then one day your boss calls you in and explains that you have been identified as talented and you have been recognised for the hard work you are putting in. It’s sounding good so far. Your boss then goes on to explain what you need to do to get the next promotion. This should be great news, but as you look at your boss and begin to digest what is being said, you are suddenly overcome with the realisation that you are not sure if you want the role. You have been a top performer so far (maybe even coasting), so this thought comes as a surprise, you start drifting off thinking, hardly paying attention to what is being said, nodding occasionally in agreement. But in your head you have started contemplating the reasons why you might not want the role, maybe you have started building a family and your career is no longer your number one focus* (if it ever was). You are suddenly faced with a question never considered before in your corporate world experience. – Do I even want this promotion? By this time you have spent about 20,000-30,000 hrs of your 80,000 hrs at work. So it is an ideal period to take time for refection and answer the questions below in your own mind. Perhaps my thoughts will help. First Question – Why is it assumed I want the promotion? The first thought is Money, but a somewhat surprising point may come in your 30s when you are earning enough, any increase gets across 12 months, with the tax man taking their significant cut, so it’s only slightly noticeable and won’t make you any happier. The increased stress of the role and/or hours may in fact reduce your happiness. Studies have repeatedly shown that Money is not a motivating factor (after certain needs are met, I could argue relative lack of it can be demotivating, but perhaps enough is to say it is not the motivator it is thought to be). The three most consistent motivators in the working world are Autonomy, Mastery and Purpose. It is assumed these are increased with each promotion, but hardly guaranteed, particularly as you climb the corporate ladder. Autonomy – The ability to direct your activity, is possible but not guaranteed. Your time will be sucked up by more meetings, more administrative activities, but perhaps more “powerful” decision making over where you devote your attention. It is surprising how many managers see their employees as a chore, rather than a benefit. Mastery – Becoming an expert or even just better, skill-set dependent, this is unlikely to increase as you move more from the role of a technician (see more below) to that of a manager. Purpose – The more senior you are, the more likely you are able to influence and align with the sense of purpose of the organisation. Certain organisations however may actually cause you to become more disillusioned as you move away from the rhetoric of internal HR communications. A fourth motivator, particularly for those with a family is Security. So will this promotion make you more secure? – Not from my corporate experience. Redundancies and restructuring can happen at any level. Security comes with staying relevant to the needs of the job market, regardless of level. Second Question – What is stopping me from wanting the promotion? This is likely to be multi-faceted and a few ideas are examined below. Role is not appealing – When I was training as a Chartered Accountant, the feedback given to the partners was that the requirements for promotion to Assistant Manager were not clear. So they had an Assistant Manager present what was required to get the promotion and what was required once in the role. 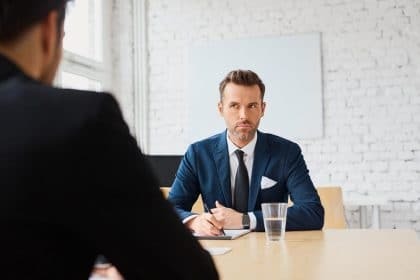 As the role was described, one Partner, who I was on friendly terms with, quietly remarked to me “Now that I’ve heard it described, the role really doesn’t sound very appealing.” In this case the Manager role was more appealing and perhaps it’s worth looking 1 or 2 steps ahead. Work/Life balance – I agree with Srikumar Rao, in that I don’t know what work/life balance means. You have one life, work is part of that. One part affects another. So it’s not a binary choice. Like you don’t chose meat or potatoes. Additionally, chances are this is more in your control than you realise. If you are next in line for that promotion, then perhaps you have chosen to focus more on your career, because you chose to dedicate the extra time when everyone else had left the office. An alternative way to think of it is work from 9 to 6 for your salary and 6 to 9 for your career or yourself, such as working towards that promotion, working on your personal development, your health and time with the family or friends. Impostor syndrome – Perhaps you fear this promotion will finally expose you as the “fraud” who lucked their way this far. I think it’s too simplistic to assume the role is more difficult than your current one. It’s important to realise that virtually everyone is papering over the cracks. Additionally it is not accurate to assume the job will be the same for you as the person you replace, you will do it differently to the current person. Love of being a Technician – Some people just love the detail of the work they do, they don’t want to spend their time being hassled by employees and other stakeholders. Perhaps a more natural progression for the Technician is to a Consultant. There is a flawed conventional progression where experienced technicians get promoted to become managers. It is a completely different skill-set and aptitude. Why would someone who loves designing love watching (managing) other people designing? Third Question – Why should I want a promotion and what are your alternatives? Staying relevant – Staying relevant in this ever more rapidly evolving labour market is perhaps the most important factor in job security. It requires a constant focus on developing and growing your career capital. This capital will erode if left alone, so you need to add to it, perhaps at this stage it requires less effort to maintain or grow, but it should not be ignored. More transferable skills – As you get more senior, typically your skill-set becomes more transferable across industries. So perhaps the promotion will give you more options. Variety & Growth – The old adage of if it is not growing it’s dying is true with your career. Homoeostasis is virtually impossible. So perhaps find a change of scenery – Company, city, country, industry, whatever. It will give new challenges and variety. Start your own thing – Perhaps read the E-Myth first. Like the technician doesn’t default to a good manager, neither does the technician or manager default to a good entrepreneur. You have to love working to making yourself irrelevant, working on, not in your business to be a successful entrepreneur. Final Question – If you are still unclear – Maybe it’s not your career that needs evaluating, maybe it’s your priorities? Perhaps try using this visual trick – It will help get you out of the linear mindset. Ultimately life is all about balance and perhaps you should focus more on other areas for a while. Loss Aversion technique – We evaluate different things when choosing versus eliminating, with loss aversion a powerful motivator. So change the questions from why to why not or list the worst that could happen and what you would do. Develop the under developed – Focus for a while on developing the things that will make you a better person, regardless of career steps. Perhaps it’s hiring a voice coach, something which is likely to help you in all areas of your life. Perhaps it’s getting fit and healthier. Perhaps it’s mindfulness. In a nutshell, it is important not to stay stagnant in your life. Look for areas of growth, but perhaps at this stage your career is not the priority, but until you are clear on your priorities*, your career will be. We have been trained that way. Once you are clear on your priorities, the next step is to instil the discipline and set up the structures to align to those. For example if you want to leave each day at 6pm. Set a reminder to shut down and prepare for the next day half an hour before that. You might only manage it 2 out of 5 days. But it might be a game changer in terms of making your priorities clear in your head. *Look out for my next post which will be on practical ways to focus and prioritise, which will be more useful than the “You need to learn prioritise” advice. Project FIRE 40 – Where does the money go? – How to easily get to a grip on your personal finances.